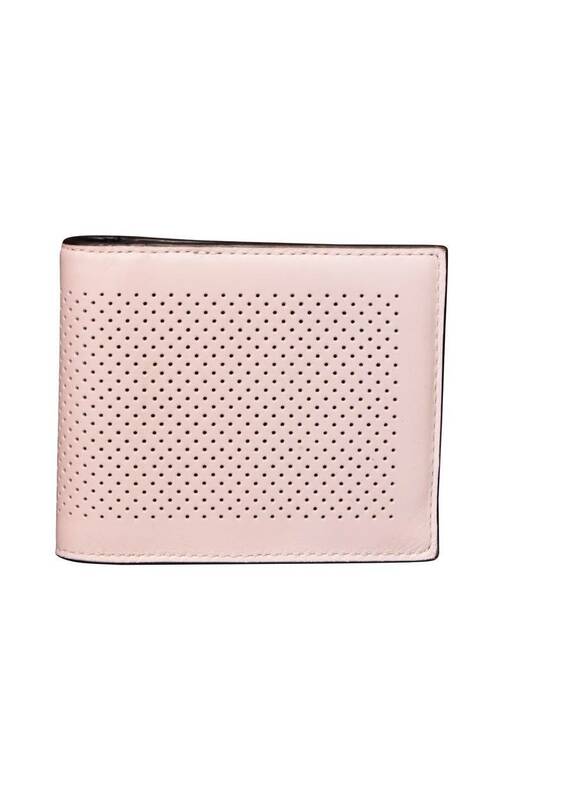 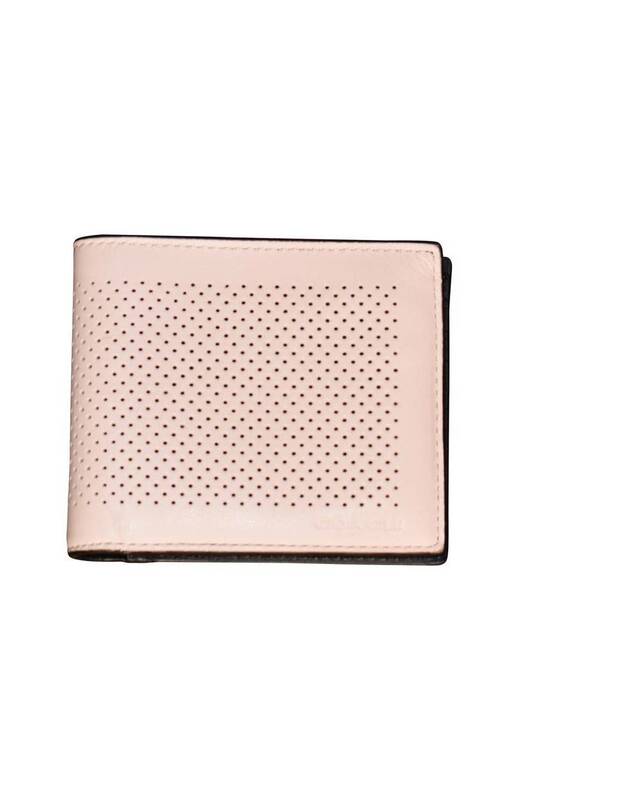 Coach perforated calf leather wallet in cream. 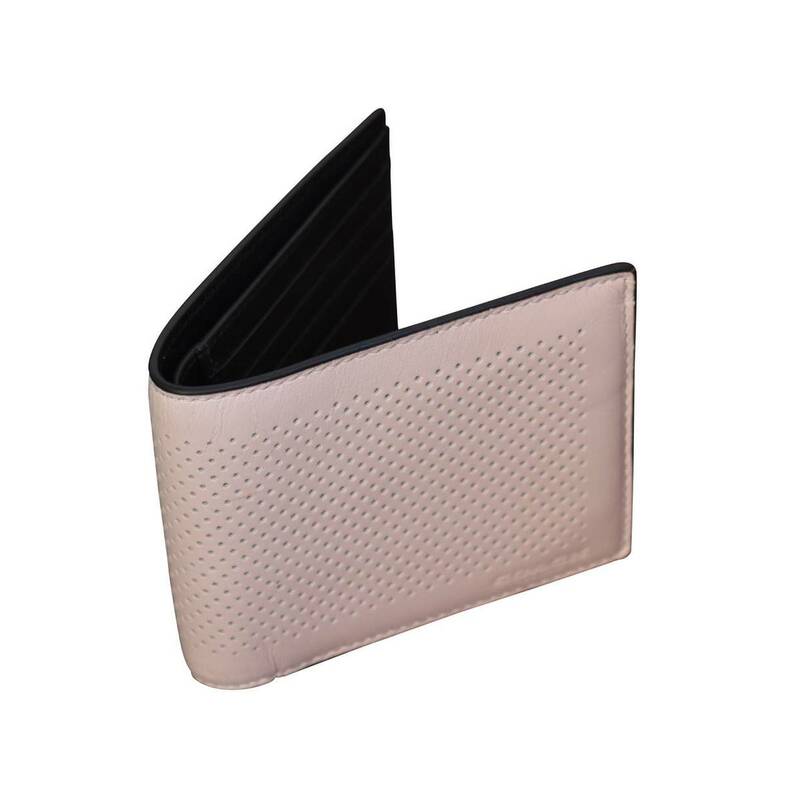 Black interior with eight credit card holder pockets and two full-length bill compartments. 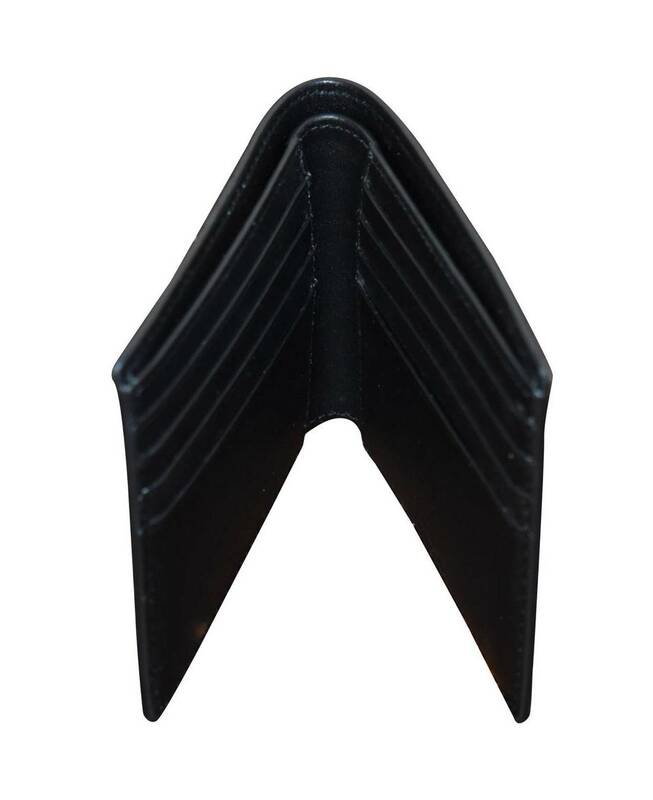 Measurements: 3.25" H, 4.25" L"